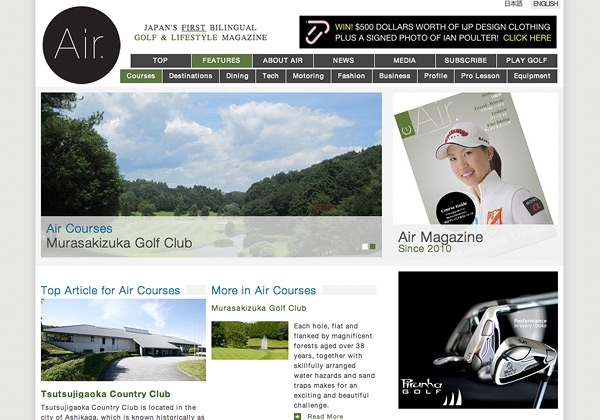 Air Golf and Lifestyle magazine wanted their magazine available online and looked to Rain for a clean sharp custom design, for Japan's first bilingual Golf publication. 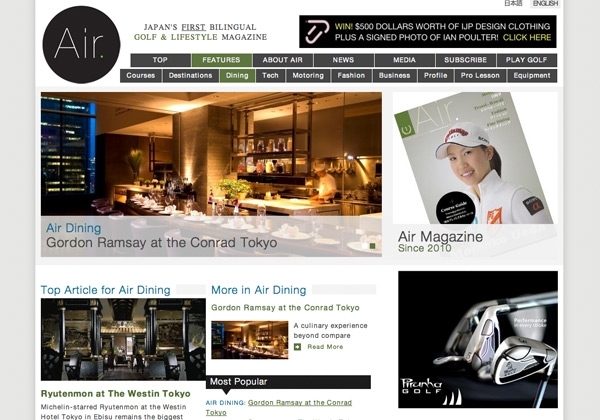 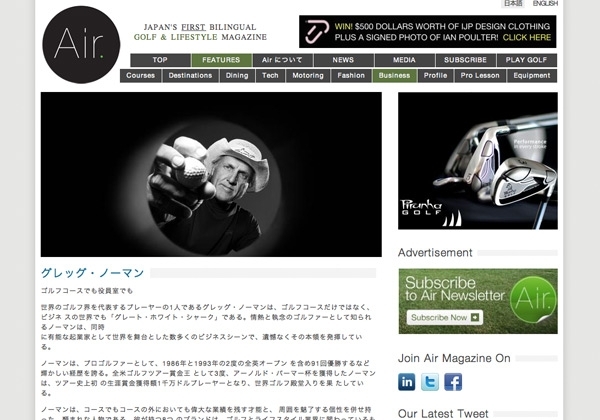 Air Golf is Japan's first bilingual Golf and Lifestyle magazine. 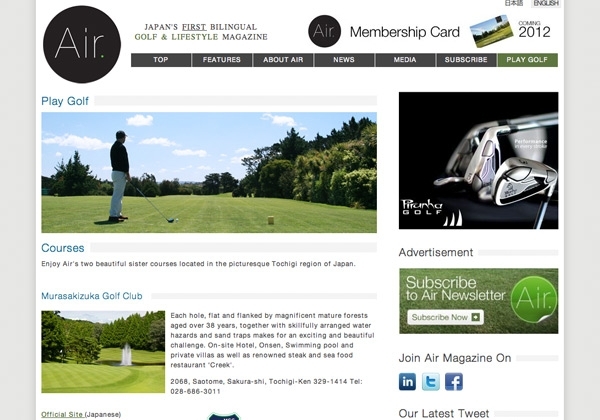 Air wanted their magazine available online and looked to Rain for a clean sharp custom design, with the ability for their editors to update and maintain the site by themselves, in both Japanese and English. 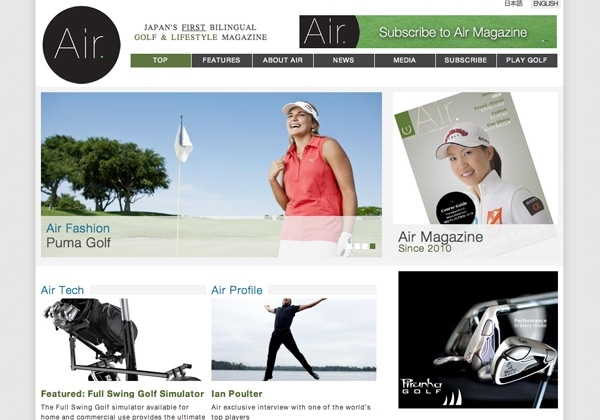 Rain developed the site on Drupal 7 and adopting HTML5 for the markup.